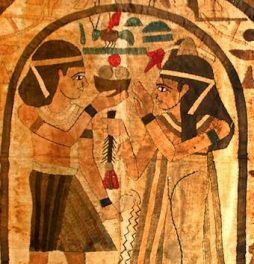 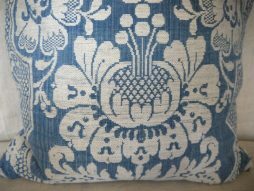 Antique Textiles | Interior Boutiques – Antiques for sale and mid century modern furniture, french furniture, antique lighting, retro furniture and danish furniture. 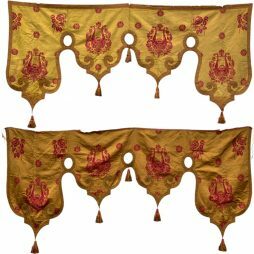 Pair of very beautiful and historic Pelmets , embroidered in silk , coming from an English Country House. 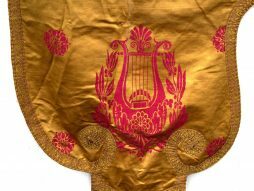 With lyre motifs and pom-poms, the pair date from the period just before the First World War. 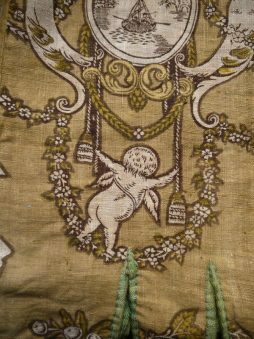 In reasonable condition with a little fraying to the edging tape as can be seen in the main photo. 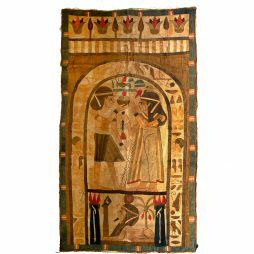 Each measuring 84 inches wide x 36 tall (without the tassells). 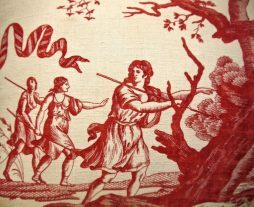 Very Decorative Woven Tapestry from the 1930’s which is loosely based on the famous 11th century ‘Bayeux’ Tapestry . 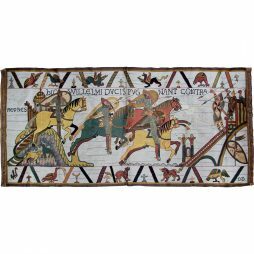 In good condition the tapestry , which was woven in France, measures 80 inches long x 36 high This attractive vintage though highly foreshortened version of the original, depicts Norman cavalry knights charging at the English infantry. 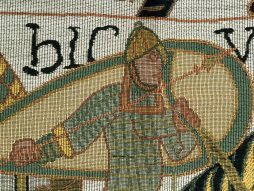 The world famous Bayeux Tapestry , created by Nuns in the 11th century to memorialise William the Conqueror’s victory at the battle of Hastings in 1066, is housed today in the museum at Bayeux in Normandy, France . 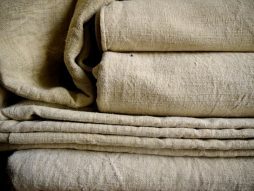 Condition Report : Good with some faded marks. 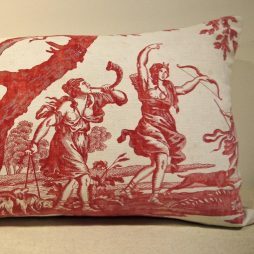 French Toile de Nantes of 'Diane the Huntress printed cotton cushion. 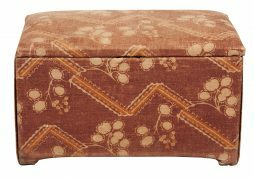 Backed in a 19th century beige linen.Slipstitched close with a duck feather insert. 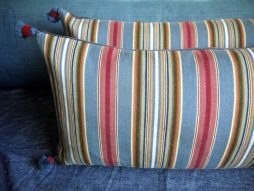 A pair of early 20th century striped woven wool Danish cushions.Backed in hand dyed vintage linen with antique French wool tassels on each corner and slipstitched closed. 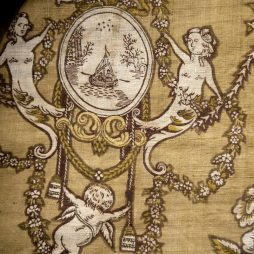 Wonderful 18th century French small pelmet.Block printed on siamoise,a linen and cotton textile ,with swagged garlands of flowers and tassels with mythical figures and winged cherubs,The scalloped edge is trimmed with a 'bouerette de soie 'ribbon. 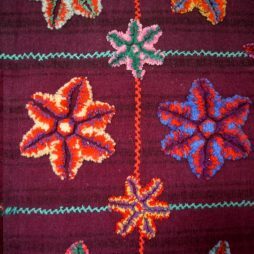 A small rug with tufted wool flowers on a wool plaid blanket.Backed in linen ticking and edged in multi-coloured wool tassels. 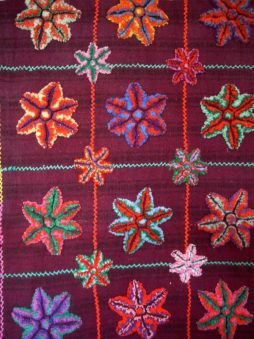 Condition Report : Unused and in excellent condition. 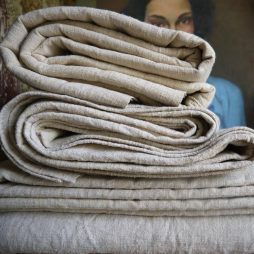 Antique French Beige Off-White Heavy Hemp Sheets Circa 1870. 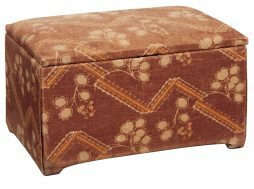 Unused and in excellent condition. 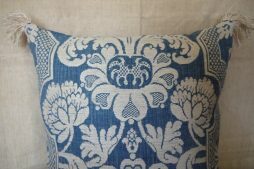 A French circa 1760s woven linen and cotton cushion backed i a dyed 19th century linen.With antique linen fringing at each corner. 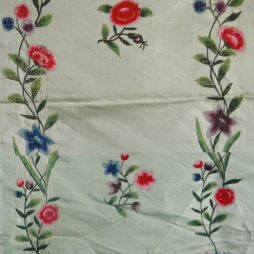 An 18th century Chinese panel hand painted with 3 columns of flowers and leaves on a pale eau de nil silk. 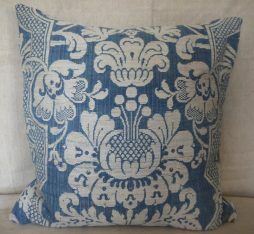 A French circa 1760s woven linen and cotton cushion backed in a dyed 19th century linen. 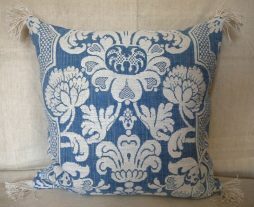 A beautiful streaky pale blue and off white.